This pack contains v40.68 ROM chips. Supplied complete with illustrated installation instructions specific to the A1200. 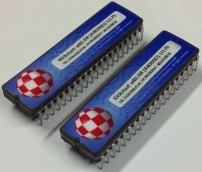 These are essential for AmigaOS 3.9, AmigaOS 3.5 and Workbench 3.1.